As you know (or could guess), I am big fan of homemade cooking and I have hobby of gardening. So when I have grown huge pineapple in my garden, I thought to make some Jam for my Mum( Hopefully she will visit us soon) . 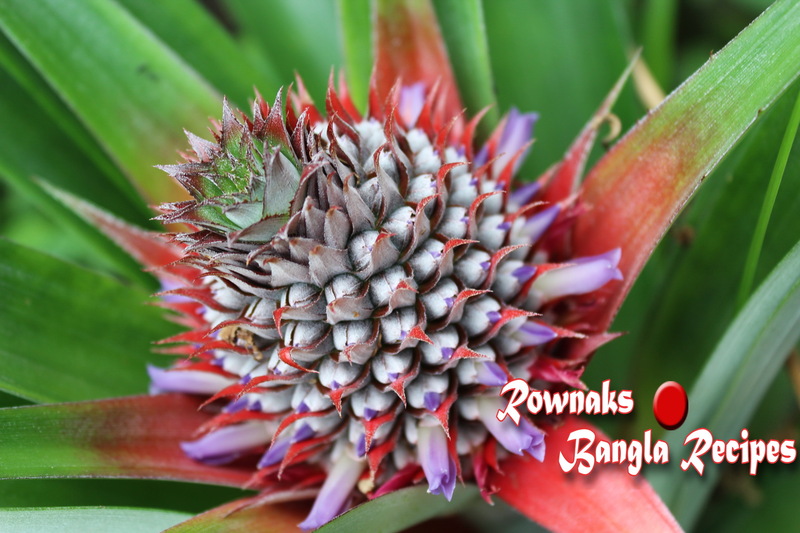 I am adding pineapple flower photo for my readers. I have used pinch of cinnamon powder which enhances the flavour and gives gorgeous colour, but it’s totally optional. 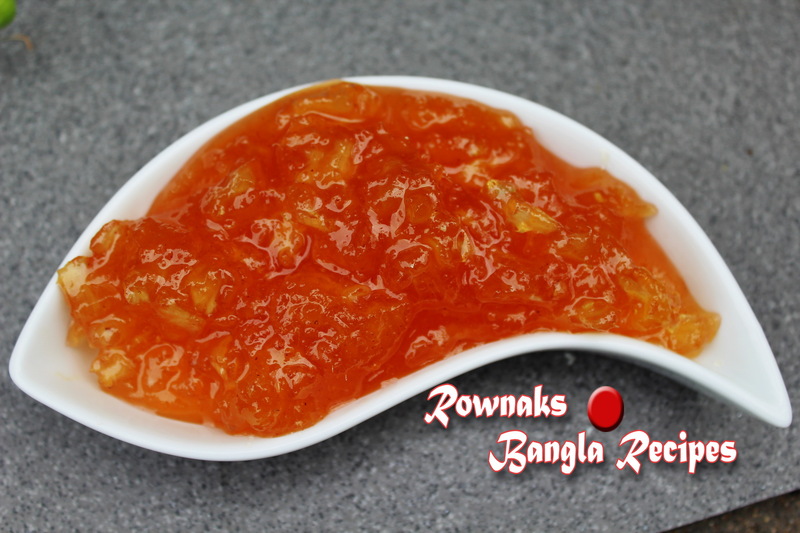 Before start making jam , please keep in mind that jam sets better with tangy and ripe fruit (which has more pectin) than overripe sweet fruit. So overripe sweet fruit and overcooking are two enemy of jam setting. If you still want to use overripe fruit for sweetness, use half amount of overripe and half amount of ripe fruit. Or you can you use store bought jam setter. Personally I like to have chunky fruit piece in my jam, If you like smooth jam just blend the pineapple. Also needs sterilised jar and lid. Peel and chop pineapple cubes. Blend half amount (1 cup) of pineapple and make it into a coarse puree. When you are chopping pineapple, cut in a bowl; in that you can keep all juice coming out from it. Heat the pan. Add pineapple (pulp, cubes and juice you got from chopping) and sugar. Let them cook for 20 minutes on medium flame. Stir occasionally. Now add cinnamon and lemon juice. Let the mixture cook for 5-8 minutes. The mixture is thickened and jam is ready to be stored. Pour the jam into a jar with air tight lid. Store it in the refrigerator for up to 3 months. To test for a set, freeze 3 chill proof saucers n freezer. Take out one chilled saucer and place a teaspoon of jam on it. After 40 seconds run fingers through jam; if set, jam will crinkle; if not, continue cooking for 3 minutes and repeat the process with chilled saucer. If you are using cinnamon stick, add in it in the beginning of cooking.